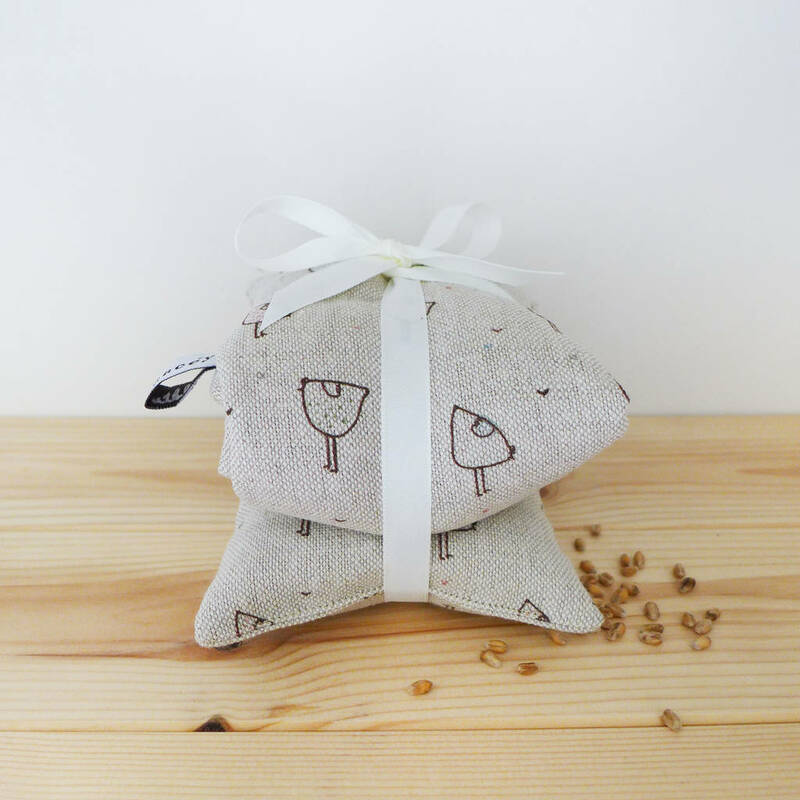 A lovely 'little hens' natural linen wheat and lavender heat bag. 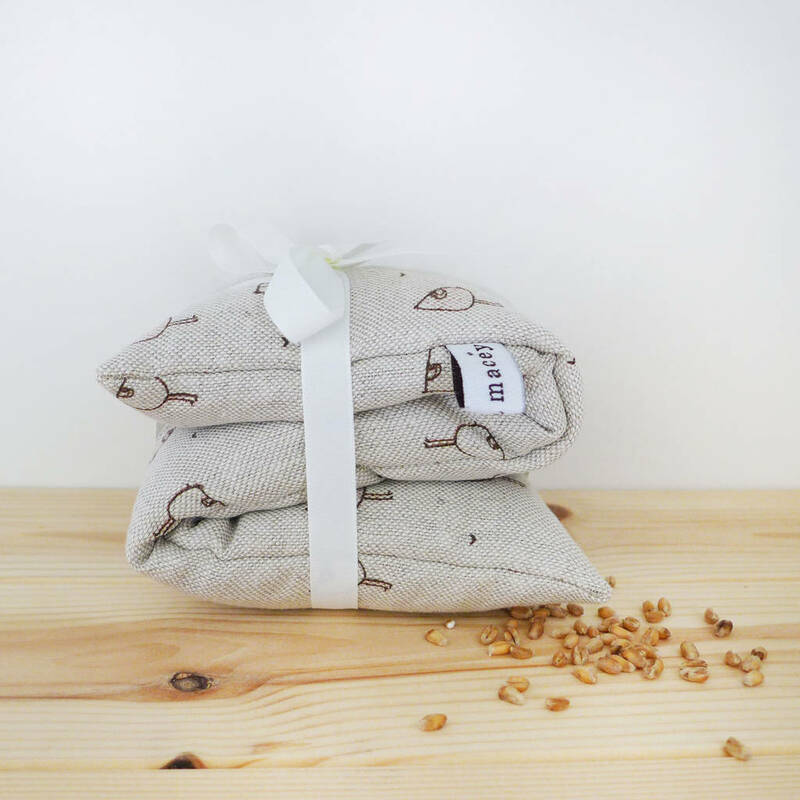 A long linen wheat bag with lavender, made from Charlotte's 'little hens' print fabric featuring illustrations of pecking hens, birds and bumblebees. 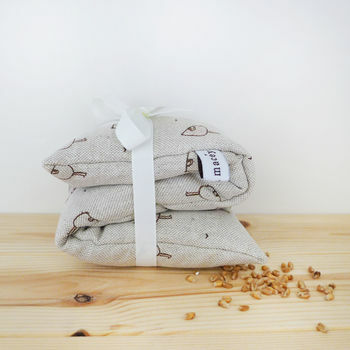 Each wheat bag is tied with ivory taffeta ribbon. Simply heat in a microwave and place on aching joints and muscles for soothing relief. Also great as an alternative to a hot water bottle. Heating times can be varied to suit personal comfort and levels of warmth required. Ensure both wheat bag and microwave are clean before heating, only use in a microwave with a working turntable. When heated do not cover wheat bag with bedding or blankets. Our products are presented gift-wrapped in white tissue paper, ready to be wrapped with paper of your choice. 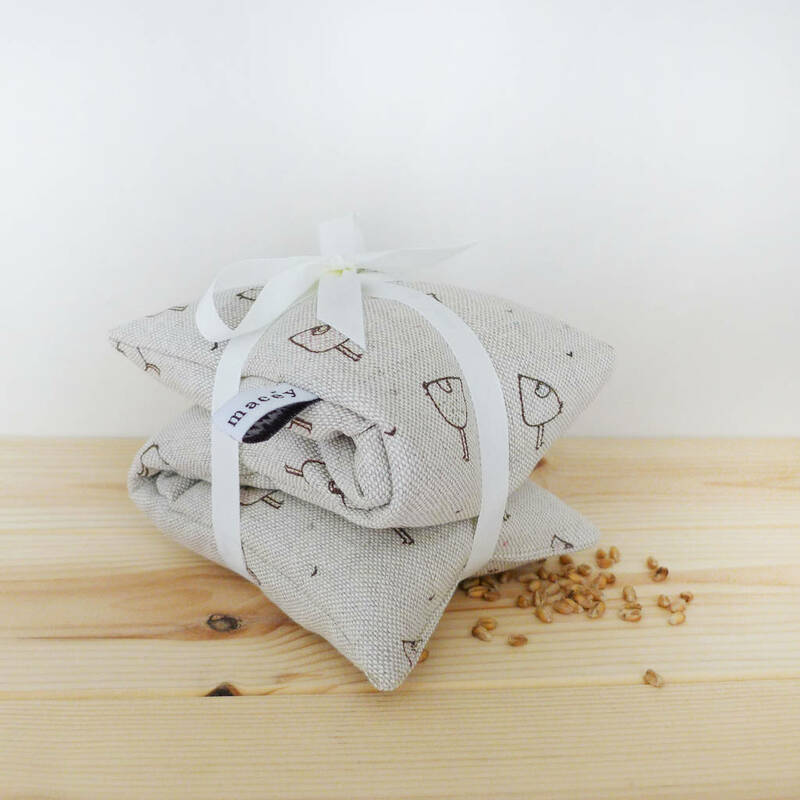 100% linen, filled with dried wheat and a sprinkling of lavender. Please note: due to import/export restrictions our wheat bags cannot be delivered outside of Europe.